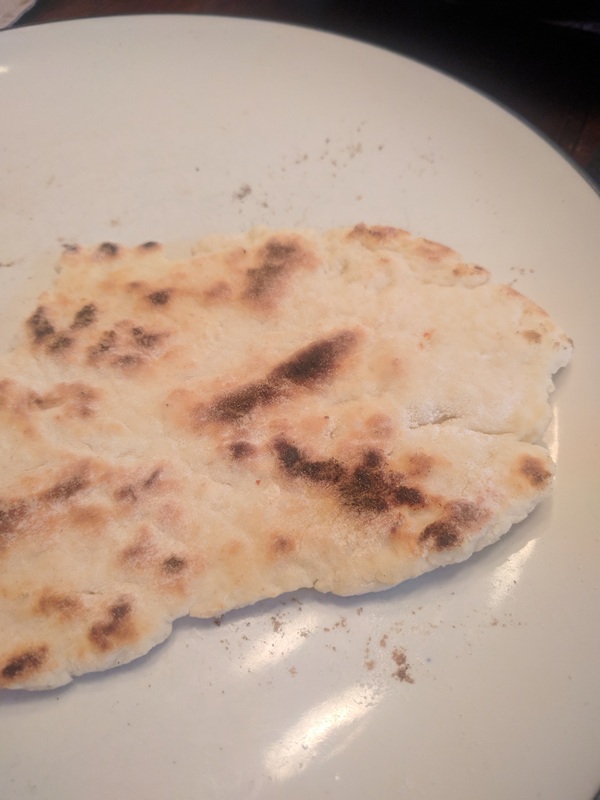 This bread can be made in moments. We saw Jamie Oliver do this in one of his cooking shows. So I recreated it with items that I had in my kitchen. 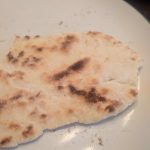 It is super fast, and almost as good as the fussy naan that I have tried to make. I mixed everything together. If a little too dry, add a little more olive oil. Roll out on a floured surface and split into four. Heat a cast iron skillet, dry, and place two of the quick breads in to cook for about 1 1/2 minutes. Flip and let finish cooking another 1 1/2 minutes. Take out and finish batch. I served with Chicken Tikka Masala, but you could use them for anything really.